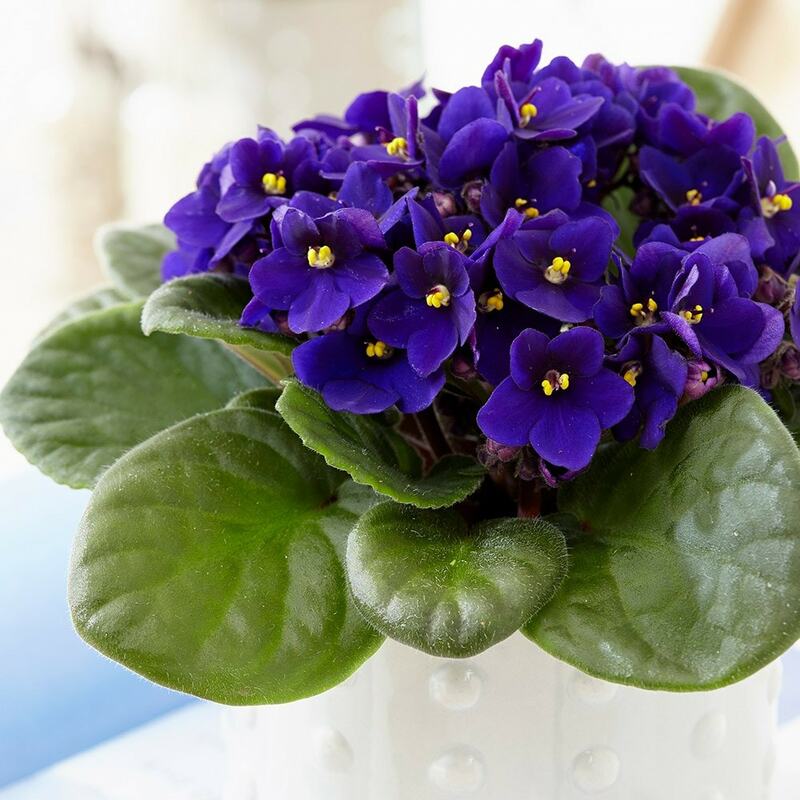 Incredibly popular flowering houseplants, the modern African Violets are relatively easy to keep, and will often flower off and on throughout the year. 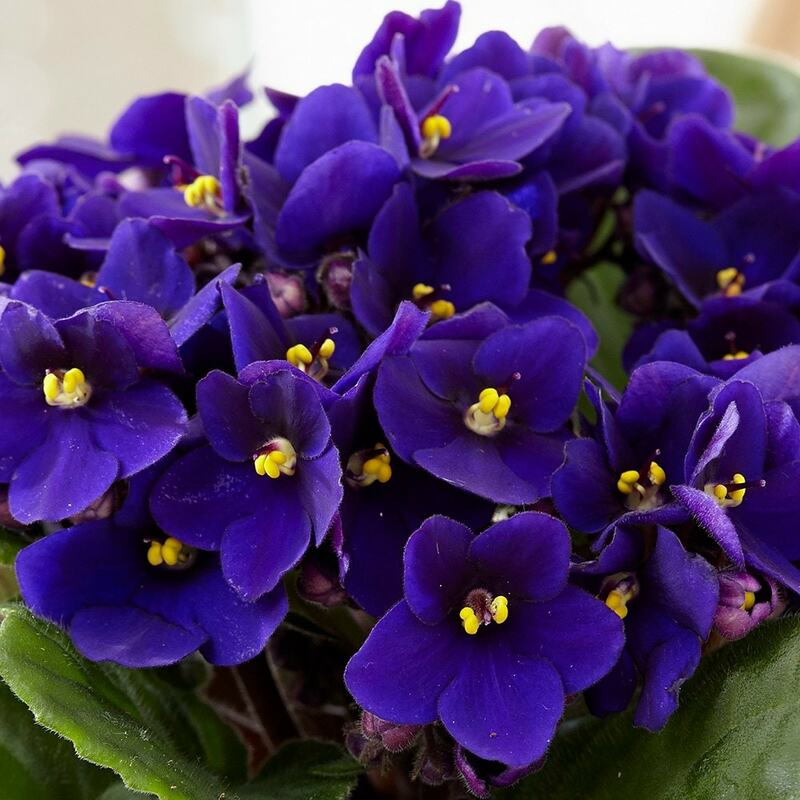 This one has intense purple-blue single flowers, which really stand out against the rosette of deep green foliage. Please note that the pot in the photograph is not supplied with the plant (which is sent out in a black plastic pot). They do however make excellent potted plants, and if you wish to pot yours up, we do have a wide range of pots on our website to choose from. Home care: The perfect environment for these plants is bright, warm and steamy, so a bathroom or kitchen windowsill is ideal. Try to avoid cold draughts and direct sun, and ensure the foliage does not touch the window - otherwise it may get scorched. Water the plants regularly (from the base), but allow the surface to become dry before repeating the process. They also love being misted with water when they are not in flower. Remove any dead flowers or foliage as soon as they appear, and only repot (into a plastic pot) when the plant becomes root bound.